Now Opened - the Dr. Rima Institute! Services and Prices Nano Silver and Health News! Read Dr. Rima's HCG Fat to Fit Diet Blog, Click Here and read about the scheduling and costs of the program, Click Here. The Dr. Rima Institute at Natural Solutions Center, Panama, opened August 8, 2010! Further information, Click Here. New Videos Posted! Young Living Essential Oils - Natural Essential Solutions. YES! Dr. Rima will take your questions! Extraordinary Guests from 10; Your questions from Noon. Listen live or archived; more info here: http://www.healthfreedomusa.org/?p=4850. Further information, Click Here. New Videos Posted! In the event Health Freedom Portals are down again during the Dr. Rima Reports Internet Radio Program on Sundays, please use this Emergency Page with Temporary Action Item and Chat Links - CLICK HERE! The new theme song for Dr. Rima Reports: The Health Freedom Trail. 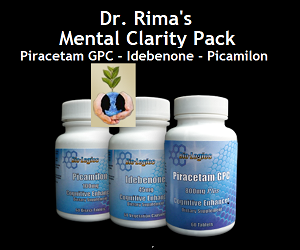 Dr. Rima is one of our foremost natural physicians and environmental doctors. She practiced drug-free psychiatry and medicine in New York. She is now the Medical Director of the Natural Solutions Foundation and oversees the wellness, educational and other activities at the Natural Solutions Center -- including the Dr. Rima Institute -- in the temperate, bountiful, beautiful Highlands of Chiriqui Province, just outside the quaint town of Volcan, Panama. If you are interested in an Internet Consultation with Dr. Rima, please fill-out the Questionnaire that you will find here: Questionnaire. The Protocol of the Dr. Rima Instiute is posted Here. Natural Solutions Foundation (NSF), founded in 2004, is an international NGO (Non Governmental Organization) focused on discovering, developing, documenting, demonstrating and disseminating natural solutions. We are active and registered in several countries and a not for profit 501(c)(3) tax exempt organization in the United States. Since its founding the Natural Solutions Foundation has pursued a vigorous program on many fronts, including the development of an advanced healthcare clinic in the beautiful, bountiful, temperate Highlands of Chiriqui Province, Panama. Dr. Rima and Gen. Bert, through Natural Solutions Foundation - Panama are sponsoring the Valley of the Moon Eco Demonstration Community in the beautiful, bountiful, temperate and friendly Highlands of Chiriqui Province, Panama. Participation in the community is open to people of good will who can contribute to its success. The Community currently holds two properties, the 2 acre Headquarters Finca in Volcan, Panama where the Natural Solutions Center is in the final stages of completion and the Valley of the Moon All Natural Coffee Finca, 22 acres, half planted in the BeyondOrganic coffee available to donors and for purchase. The Community has identified a pesticide-free 100+ acre parcel, with off-the-grid power potential for the main Community development. Read more at the links below. If you are interested in participating, please contact Foundation Trustee and Counsel Ralph Fucetola JD at ralph.fucetola[at]usa.net with Valley of the Moon in the subject line. You can donate to help us open the Natural Solutions Center and review the planned Protocol for Therapies and Services here: Protocols. That's the story, in two words. You know there is a battle going on for your mind (or maybe against it!). Part of the Globalist Agenda to reduce human population and restrict our freedoms goes on in our own heads, as we are subjected to a level of propaganda that can only be termed mind controlling. Its success depends on making sure that we are dumb, dull, deluded and distracted. The effectiveness of the genocidalist elite is maimed by what they misunderstand about human nature; it is that very misunderstanding that they seek to perpetuate in our minds. It is a commonplace that advertising takes place in the mind of the beholder, and to a great extent, the events that populate our recent history have been carefully orchestrated to limit our perceptions of possible futures, futures in which we have enough good, wholesome food to promote long, healthy lives in a planet-sustaining manner. While it is true that you are what you eat, or, rather, what you absorb, it is also true that your mental capacities depend on your nutritional status; truly, what you think depends on the nourishment you absorb. For example, if you obediently dose yourself with fluoride toxin on your toothbrush every twelve hours, as you have been taught, you will ensure that fluoride's powerful psychoactive effects, leading to docility and mental passivity and pliability, will limit your capacity for independent thinking. Best place to find nanosilver: www.Nutronix.com/NaturalSolutions. This is an expressive association communication regarding truthful information about your health. As such it is Protected Speech. I state this because, under Section 301(11) of the 2007 FDA enabling act (a dying "gift" from Sen. Kennedy...) the FDA has the authority to BAN any "food" that has ever been studied for "medical" use. Now, why would Congress give that power to any agency? How can banning foods be beneficial to our health... maybe, though, it might be beneficial to those well-connected drug sellers who want to stop their natural competition? I am about to share with you some of the research the government reported that tells you that food-grade nano-silver STOPS the HIV virus. I do not consider this a "medical treatment." It is just nutrition, and I offer it as such. "The interaction of nanoparticles with biomolecules and microorganisms is an expanding field of research. Within this field, an area that has been largely unexplored is the interaction of metal nanoparticles with viruses. In this work, we demonstrate that silver nanoparticles undergo a size-dependent interaction with HIV-1, with nanoparticles exclusively in the range of 1 to 10 nanometers attached to the virus. The regular spatial arrangement of the attached nanoparticles, the center-to-center distance between nanoparticles, and the fact that the exposed sulfur-bearing residues of the glycoprotein knobs would be attractive sites for nanoparticle interaction suggest that silver nanoparticles interact with the HIV-1 virus via preferential binding to the gp120 glycoprotein knobs. Due to this interaction, silver nanoparticles inhibit the virus from binding to host cells, as demonstrated in vitro." Silver Biotics silver is effective precisely because its particle size is so tighly controlled and its particles are in the correct size range. The European Union has already made nano silver illegal, we believe, precisely BECAUSE it is the universal antibiotic. I know of no side effects from using this material. There is no nasty taste, so children and babies do not reject it when it is mixed with water or juice. It has a virtually unlimited shelf life and there is no significant possibility that the skin can turn blue (argyria) using this product. What has it been used for with success? You name it. Assuming that the problem is caused by an organism (i.e., bacteria, virus, mycotoxin, spirchete, etc. ), the liklihood is that nano silver will restore normal function when used properly. Most situations require between 1/2 capful to 2 capfulls once or twice a day. Weight and severity would deterime your dosing schedule. For example, a young child would get 1/2 capful once or twice a day while an adult would take 1-2 capsful once or twice a day. If you have a minor infection, I would go for the lower dose once a day. If you have a more serious problem, or a longer standing one, I would use a higher dose. If you try the higer dose level and find that you have not gotten the results you are looking for, then I would increase it by adding a third dose or doubling the amount of nano silver you are taking. How high can you go? How often can you take it? Good questions. I am happy to tell you that there is no known upper limit for nano silver. That means that no side effects have been observed at any level of dosage and any frequency. Can I use nano silver directly on problem areas? Of course you can! If you have skin lesions, soak some clean cotton in the Silver Biotics nano silver and apply to the problem area or apply it directly. You can also get the nano silver gel which is available at www.Nutronix.com/naturalsolutions and use that. You may find that you can apply it more frequently, with less muss and fuss than patting on a liquid. Again, I know of no way to overdose with the Silver Biotics products. Vaginal Applications: For vaginal concerns, soak a tampon in Silver Biotics nano silver solution and insert, removing after 1 hour. Repeat as necessary. Now remember, two other govt agencies, the EPA and FDA are, in a separate actions, are trying to take nano and colloidal silver off the market, just as the European Food Supplements Directive has succeeded in doing there. I would start laying in a supply now. Although the product carries an "expiration date", there is no evidence of which I am aware to suggest that Silver Biotics has a significantly limited shelf life. You and you family need to supplement with Nano Silver; you need to have it on hand to use regularly and for emergency situations. Please make sure you order some now. And when you do, your orders help support our Foundation services. Dr. Rima recommends the excellent products at www.NaturalSolutionsMarketplace.org -- purchasing at these sites helps support Natural Solutions Foundation and its many health and food freedom projects. Here we will be featuring links to various products and services on the Organics4U and Marketplace sites; please remember to patronize both of these important sites. The featured links here will change from time to time, so please Bookmark this page and return often! Aroma Therapy: Natural Essential Solutions! "Raindrop® Technique is a Young Living Essential Oil technique based on dropping the essential oils used through the individual aura. The art and practice derives directly from the heart and soul of D. Gary Young. The Raindrop Certification course is based only on his techniques. These gifts of creation follow a true path to mutual well being, and with Raindrop® nothing stands between us and the bounty of Creation's Love." YLEO Mission Statement: "We honor our stewardship to champion natures living energy, essential oils, by fostering a community of healing and discovery while inspiring individuals to wellness, purpose, and abundance." Private discussion only . . . The within is a confidential, private expressive association transmittal, submitted without prejudice and with full reservation of rights. Not intended to diagnose, prescribe for, treat or claim to cure, mitigate or prevent disease conditions. For our complete disclosures and disclaimers see: Site Use Statement.